A freight rail tunnel under the Detroit River -- nearly two decades in the planning -- is nearing the construction phase, its backers say. The $400 million Continental Rail Gateway would replace an obsolete, 102-year-old rail tunnel that is too small to accommodate modern, double-stacked rail cars. Byington said the company hopes to take bids for boring the tunnel by June, with construction being completed in 2015. The tunnel is seen as an integral component of a larger plan to make Southeast Michigan a regional center for the transportation and logistics industries. “The underground tunnel is very critical in making sure we can increase the amount of trade going on here,” said Doug Smith, senior vice president of strategic partnerships at the Michigan Economic Development Corp. But the construction timeline depends heavily on the company getting $200 million in federal transportation funds, which it applied for in October. Its funding application calls the tunnel “a project of national and regional significance.” Numerous government and business officials throughout Michigan support the plan. “The taller tunnel will make it more cost effective to reach Ontario and Quebec, including the Port of Montreal, for global commerce,” said Meijer Inc. President Mark Murray, in a letter supporting the federal funding request. Byington said the proposed rail tunnel will ease a trade bottleneck at the Detroit-Windsor border, reduce truck traffic in Detroit neighborhoods and create 1,700 jobs in logistics, warehousing and other transportation-related businesses. New jobs in manufacturing could be created in Michigan because of the additional parts and raw materials that could be shipped here through a taller tunnel. “The larger issue is how do we stop the freight arriving here and add value to it?” Smith said. Continental Rail Gateway’s primary investors are the Canadian Pacific Railway, the Windsor Port Authority and Borealis Infrastructure, which is the investment arm of the Ontario Municipal Employees Retirement System. Most of the traffic that would pass through the tunnel would run on Canadian Pacific’s line from the Port of Montreal. But Byington said other rail lines could use the tunnel by paying a fee. Traffic from the tunnel would connect to the $445 million Detroit Intermodal Freight Terminal project near Interstate 94 in Detroit. The terminal, now in the design phase, will handle rail, truck and air cargo traffic. About $19 billion of the $121.6 billion in trade in the Detroit-Windsor corridor in 2009 was carried by rail. Increasing cargo traffic from Montreal could boost that trade significantly, Byington said. “The whole rail industry is changing and carrying the larger sea containers,” she said. Montreal is planning to expand its port and double its container traffic capacity by 2020. In 2008, the year the expansion was announced, 26.8 million metric tons of cargo passed through Montreal. 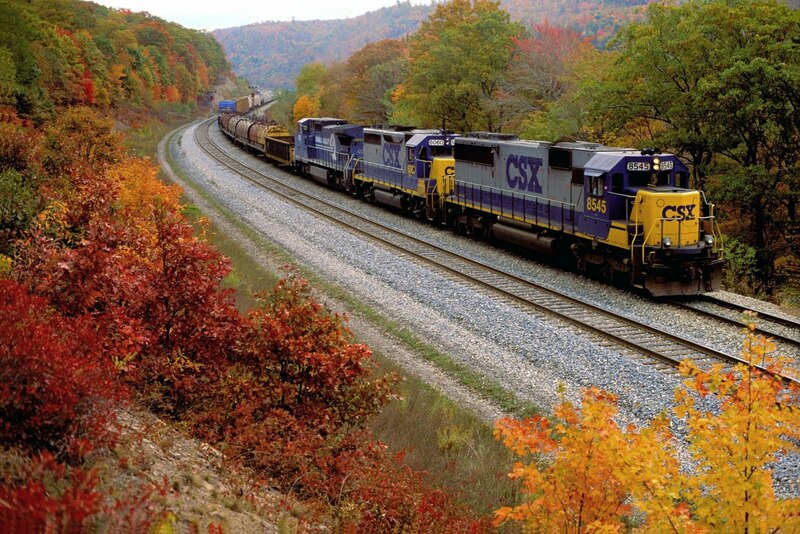 The Continental Rail Gateway would give Southeast Michigan a second rail tunnel crossing. A rail tunnel built by the Canadian National Railway Co. at the Port Huron-Sarnia crossing in the 1990s can handle the double-stacked rail cars. And trucks would be able to carry the larger containers across the proposed New International Trade Crossing bridge in Detroit, if it gets built. Byington said the Continental Rail Gateway would help turn Southeast Michigan into a “mega-region” for transportation and logistics. Fascinating. "Numerous government and business officials throughout Michigan support the plan." I wonder how many of these people who support this "private" crossing oppose the Moroun's new bridge because it is "private" and want a "public" bridge instead. If it is such a great idea, let OMERS fund it. They have billions in pension fund money to invest. We heard all this story before with their DRTP truck highway concept and that project died. As I said in another posting, explain to me please the business case for DRIC if rail will take away so much traffic! This tunnel is needed because the current CPR (former Michigan Central/CASO) tunnel is over 100 years old and while still operable; needs to be replaced with a modern transit capable of handling current and future projected traffic. If you were familiar with operations through the current bore you would understand the need to get on with the dig now. The time for prognostication is over - let's bring it on!